It only focuses on top executives (29%). 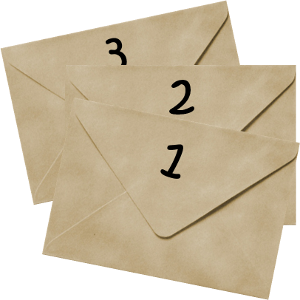 Or, you could use the three envelope approach. I learned this approach from a fellow who had just been hired as the new CEO of a large, publicly held company. The CEO who was stepping down met with him privately and presented him with three numbered envelopes. “Open these if you run up against a problem you don’t think you can solve,” he said. Well, things went along pretty smoothly, but six months later, the net interest margin took a downturn and he was really catching a lot of heat. About at his wits’ end, he remembered the envelopes. He went to his drawer and took out the first envelope. The message read, “Blame your predecessor.” The new CEO called a press conference and tactfully laid the blame at the feet of the previous CEO. Satisfied with his comments, the press – and Wall Street – responded positively, the stock price began to pick up and the problem was soon behind him. About a year later, the company was again experiencing a slight dip in margins, combined with serious balance sheet problems. Having learned from his previous experience, the CEO quickly opened the second envelope. The message read, “Reorganize.” This he did, and the stock price quickly rebounded.